Watch moment of Hatem Ben Arfa magic as ex-Mag runs the show in emphatic win over Arsenal – NUFC blog – Newcastle United blog – NUFC Fixtures, News and Forum. His career may have had more downs than ups since he left St James’ Park, but Hatem Ben Arfa showed what a talented player he still is on his 32nd birthday last night. 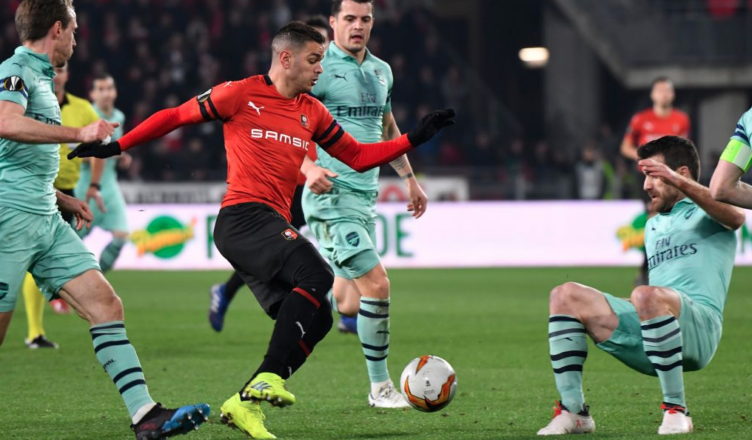 If anyone was wondering if the Frenchman still ‘had it’, he proved any doubters wrong, being the standout player as Rennes dismantled Arsenal 3-1 in the first leg of their Europa League last 16 tie. The game also saw him facing up against former PSG boss Unai Emery – the man who left him to rot in the French side’s reserves – but it’s fair to say he had the last laugh. He celebrated his birthday in style last night, but watching him play so incredibly is a reminder of what a wasted talent he is. He had some magical moments at Newcastle and was one of the most exciting players I’ve watched in a black and white shirt, but you can’t help but wonder just how good he could have been if his attitude, fitness and application had been as good as his left foot and dribbling skills. That’s not the Benny who left the Toon, that one looked like he spent most of his days in Greggs.